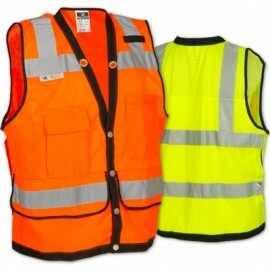 Selecting the appropriate high-viz safety vest can be a challenge considering many vests look alike. This page is dedicated to making your shopping experience as easy as possible by clearly identifying the different models, classes and features our safety vests have to offer. When shopping for a safety vests consider the material, (mesh vs. solid), the ANSI class, type of closure and number of pockets. Our selection also includes a wide variety of grades to fit every budget from economy/value to premium. 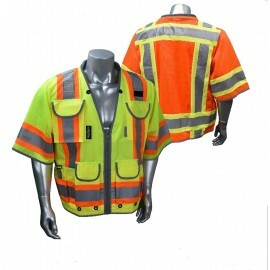 As for what colors are considered high visibility, the two basic hues are neon green or orange, and vests may include silver reflective striping. 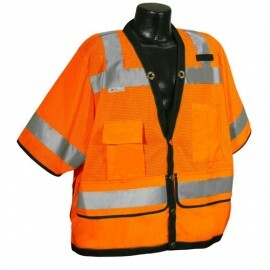 The nature of your work and the organization of your team will determine what the color of your safety vest is. 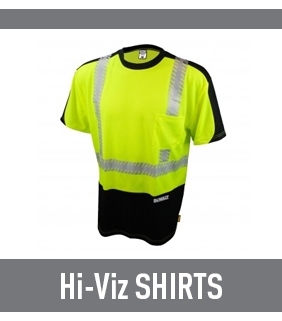 Enviro offers safety vests with logo options with our custom screen-printing service, which provides an excellent deal on increasing visibility for your company. 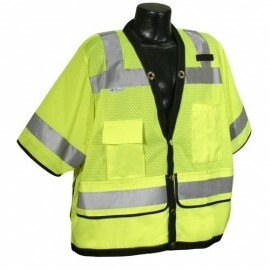 Safety vests can come with pockets, vented backs, and other accessories to make your work easier. American National Standard for High-Visibility Safety Apparel and Accessories ANSI/ISEA 107-2015 provides performance requirements for conspicuous materials to be used in HVSA and specifies minimum amounts of background, retroreflective and combined-performance materials, colors and placement of materials for garments, supplemental items and accessory items used to enhance the visibility and safety of workers. The 2015 edition continues to present three performance classes of garments based on the amount of visible materials and design attributes incorporated into the final configuration and now identifies garment types based on expected use settings and work activities being performed. These are designated as off-road (type O), roadway and temporary traffic control (type R), or public safety activities (type P). ANSI/ISEA 107-­‐2015 consolidates the requirements of ANSI/ISEA 107-­‐2010 American National Standard for High-­‐Visibility Safety Apparel and Headwear and ANSI/ISEA 207-­‐2011 American National Standard for High-­‐Visibility Public Safety Vests into a single, comprehensive document for all occupational tasks. While the standard maintains the familiar Performance Classes 1, 2 and 3 from previous versions, the 2015 edition establishes three HVSA types based on the expected use environments and work activities being performed. 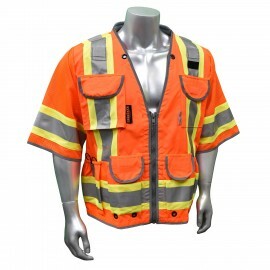 Responding to user concerns, the 2015 standard makes allowance for garments sized to fit smaller workers, and adds specifications for accessories such as gloves and armbands. 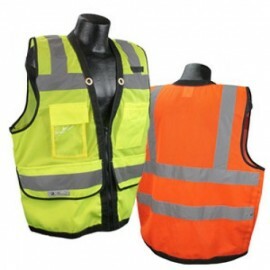 Non ANSI Safety Vests (also referred as Class 1 Safety Vests) do not meet ANSI/ISEA standards. 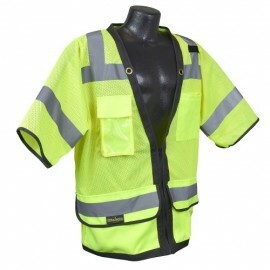 Non ANSI Safety Vests can be worn were traffic does not exceed 25 mph. 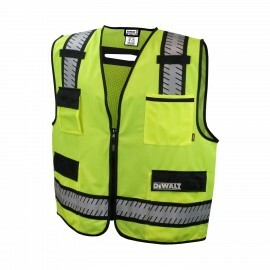 These economical safety vests are often worn by parking lot attendants, shopping cart retrievers, warehouse workers and anyone that needs high visibility recognition without meeting ANSI standards. 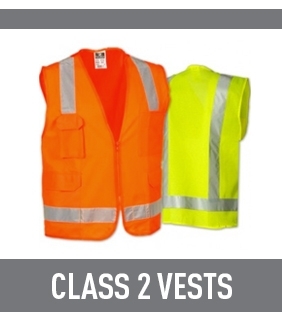 This is the main style most people think of when they think about high-visibility, so there’s often confusion over what exactly a Class 2 or Class 3 safety vest is. 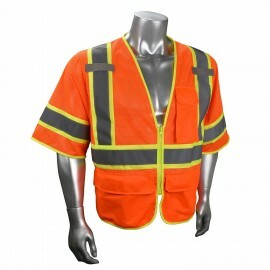 Class 2 Safety Vests meet ANSI 107-2010 (revision to the 107-2004 high visibility standard) which states all workers who are within the public right-of-way of Federal Aid highway must wear ANSI approved class 2 safety vests. 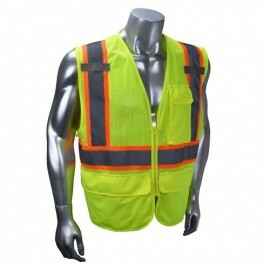 These safety vests have a minimum background fabric of 775 sq. inches and a minimum reflective material of 201 sq inches with a minimum width of 35mm. 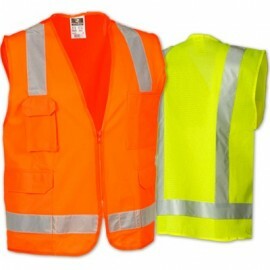 Workers who would typically wear these garments are: railway workers, school crossing guards, parking and toll gate personnel, airport ground crews and law enforcement personnel directing traffic. 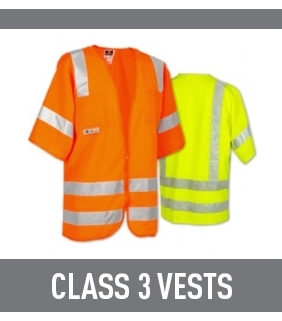 Class 3 Safety Vests also meet ANSI 107-2010 standards however they provide higher high visibility protection with a minimum background fabric of 1240 sq inches and minimum reflective tape of 310 square inches with a minimum width of 50 mm. Workers who often wear class 3 safety vests are: roadway construction workers, utility workers, survey crews and emergency service personnel. 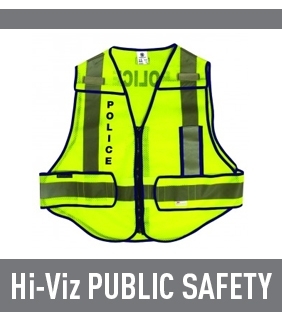 Public Safety Vests meet ANSI 207-2006 standards which require a minimum background material of 450 sq. inches and a minimum reflective material of 201 sq. inches with a minimum width of 2 inches. They are designed shorter to allow quick access to belts and tools. 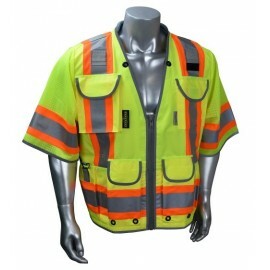 Many of these safety vests feature (but are not mandatory to the standard) loops, pockets, badge holders, mic tabs and ID panels to meet the user's need for functionality while still offering an effective high visibility garment. Here's where it gets a little complicated. 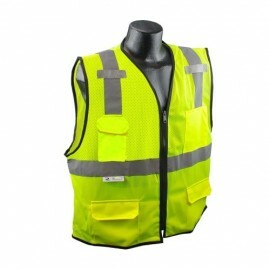 Public Safety Vests do not meet ANSI 107-2010 standards however on Dec 16, 2009 the FHWA approved a revision. 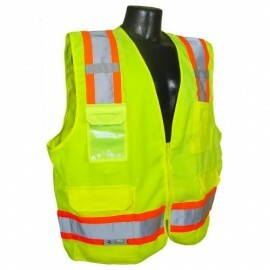 Safety Vests complying with ANSI/ISEA 207-2006 will be acceptable as an option to ANSI/ISEA 107-2004 for law enforcement and emergency responders. The revision is effective January 15, 2010 and workers on non-federal highways must be in compliance by December 31, 2009. Public Safety Use (Class 2 and Class 3) Enhanced visibility for emergency and incident responders and law enforcement personnel in both roadway and off-road environments. for emergency and incident responders and law enforcement personnel who are exposed to struck-by hazards in roadway or off-road work environments. These garments provide additional options addressing competing hazards or the need for access to special equipment. Type P HVSA may be Performance Class 2 or 3. Type O HVSA provides daytime and nighttime visual conspicuity enhancement for workers in occupational environments which pose struck-by hazards from moving vehicles, equipment and machinery, but which will not include exposure to traffic on public access highway rights-of-way or roadway temporary traffic control (TTC) zones. Type R HVSA provides daytime and nighttime visual conspicuity enhancement for workers in occupational environments which include exposure to traffic (vehicles using the highway for purposes of travel) from public access highway rights-of-way, or roadway temporary traffic control (TTC) zones or from work vehicles and construction equipment within a roadway temporary traffic control (TTC) zone. Performance Class 2 provides for the use of additional amounts of high-visibility materials, which may allow design opportunities to define the human form more effectively. Performance Class 2 HVSA have the potential to provide longer detection and identification distances, and increased conspicuity performance compared to Performance Class 1 HVSA. Performance Class 3 can offer greater visibility to the wearer in both complex backgrounds and through a full range of body movements by mandatory placement of background, retroreflective and combined-performance materials on sleeves and pant legs (if present). Regardless of the area of materials used, a sleeveless garment or vest alone shall not be considered Performance Class 3. There have been considerable changes to the ANSI 107 High Visibility standard. One important change addresses new care labeling requirements. Any ANSI107-2015 rated garment made from a material not inherently FR will be required to have the following statement on the care label: “This garment is not flame resistant as defined by ANSI/ISEA 107-2015”. This will require changes to designation of Treated Polyester products we have referenced with NFPA701 in the past. Radians will continue to provide treated polyester vests for limited FR applications. The vest label will need to be labeled with “Not Flame Resistant...”. 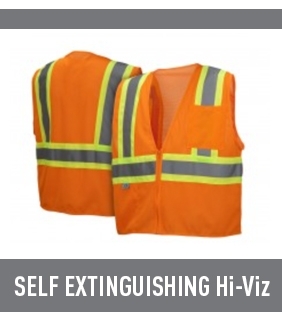 These vests will now be referred to as “Self-Extinguishing”, which is a more accurate description of the material’s performance characteristics. Self Extinguishing performance is established using ASTM D6413 test method based on criteria of less than 2.0 seconds flame out and a six inch char length. 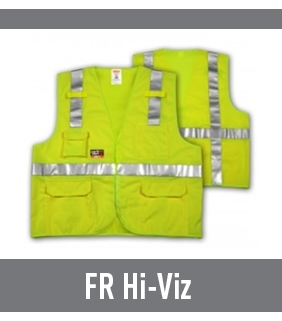 With the new “TYPE” categorization introduced with the ANSI/ISEA 107-2015 standard, new tags will be required for Hi-Vis garments. Each tag will now need to show the Type and Class, as well as be specific on whether or not it’s Flame Resistant (FR), including tested capability.